I worked at the Faculty of Forestry & Nature Conservation, Universidad de Chile since 1991. I did my B.Sc. Forestry at Universidad de Chile (1992), while my M.Sc. (1996) and Ph.D. (2007) at the University of Canterbury. 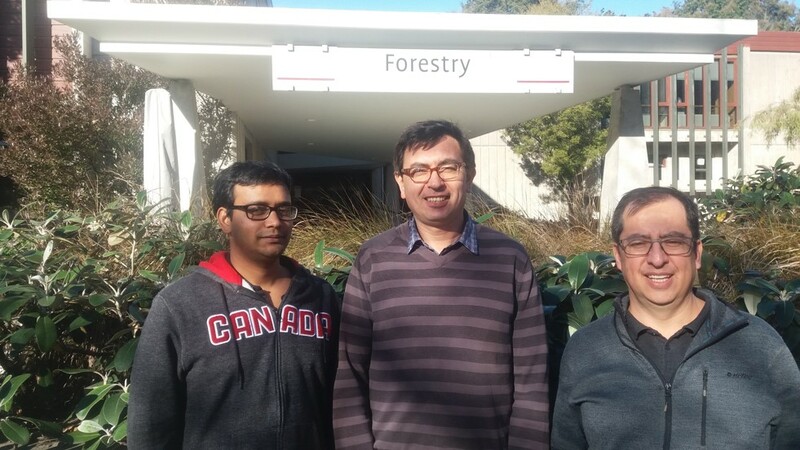 My teaching and research focuses on carbon, water and nutrient fluxes in forest ecosystems applied to sustainable forest management and ecological restoration. This is my second time as an Erskine fellow (2014, 2018), and I think the Erskine Programme provides a great opportunity to interact with colleagues, and explore and discuss new research and teaching ideas. Also to interact with other Erskine fellows and to open to new disciplines. Personally having a sabbatical in New Zealand, also provides me with the opportunity to benchmark my work identifying weaknesses and strengths, while also opportunities, which might be difficult to see while being at my home institution for a long time. At the moment, I’m teaching a three-week module about plant ecophysiology for the FORE219 course “Introduction to Silviculture”, and also interacting with postgraduate students at the School of Forestry. I’m co-supervising a M.Sc. and a Ph.D. student, and I’m interested to contribute towards refining their research ideas and the methods to test them while at the same time keeping them within the time frame of their studies. I’m enjoying University life enormously; just to name a few, the interaction with colleagues and students, the coffee breaks, the interesting conversations and challenges, having more time to read the forestry literature and also reading in my leisure time, the time to share with friends, and last but not least, the time talking with my teenage daughter while cooking together.